Ever-expanding, ever-growing, pushing the limits, humankind spreads out its long reach and conquers new lands, claiming the unknown wilds as our own. The focus of many is on these outer reaches, as many are out to seek new glory and write their names in the history books, to be remembered for all time. But what of the old lands, what of our history and our beginnings? Today, the Chronicle travels back in time; today we return to lands of great power and marvelous conquests; today, we return to where this all began. 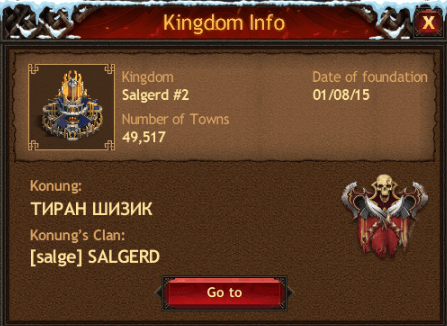 The original Kingdoms are located in the very North-West of our lands are where all Jarls originated from long ago. This area of the map is the source of much of our power and is the location of our most celebrated minds, wealthiest lords, and mightiest armies. As shown above, there are three Kingdoms which opened rapidly one after the other. These are Wallia, Salgerd and Halldoria, all of which are flourishing and vibrant Kingdoms. 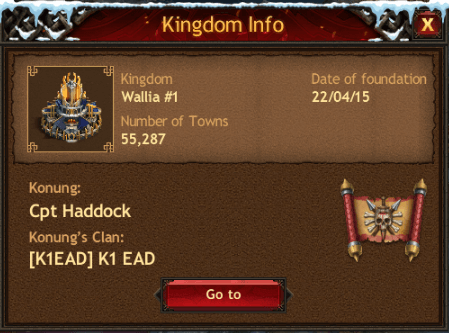 Yet, it is the Kingdom of Wallia that we are going to focus on today, as this is the birthplace of all Jarls within the realm, even if many cannot remember its name, so long ago detached are they from their roots. Within the Kingdom of Wallia, armies the likes of which we have never before seen are garrisoned, within towns overflowing with gold and technology. Influence ranges from the millions to the billions, with three mighty Clans representing the lands. 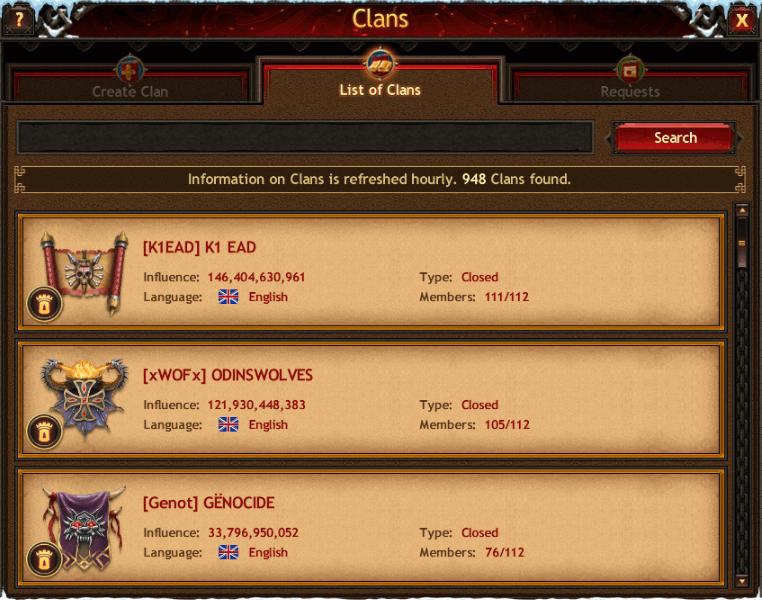 These three clans are K1 EAD, Odinswolves and Genocide, all of which are mighty in power and influence, but of which K1 EAD holds the strongest sway. 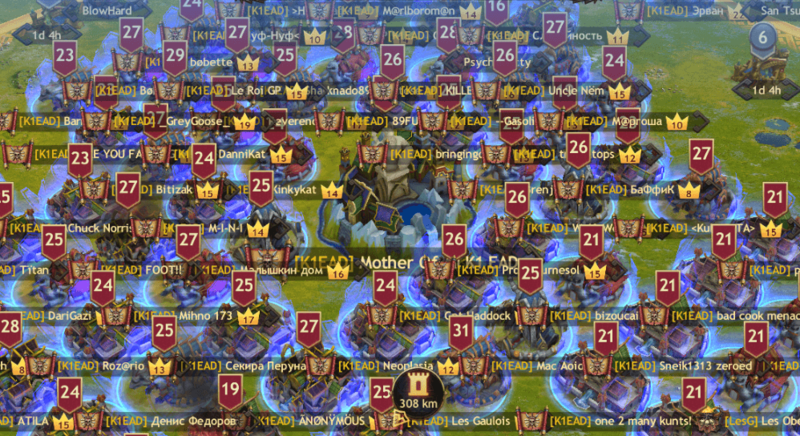 Upon visiting K1 EAD's sphere of influence, known as their hive, we were met by a wall of steel, an impenetrable barrier of fortresses, soldiers and towns, the likes of which we have never seen before. Mighty fortresses blotted out the sun, and any clan foolish enough to try to breach these borders would quickly find themselves obliterated and ruined, their armies scattered to the winds. Influence ranging within the millions is commonplace, while others boggle the mind, with billions in power. 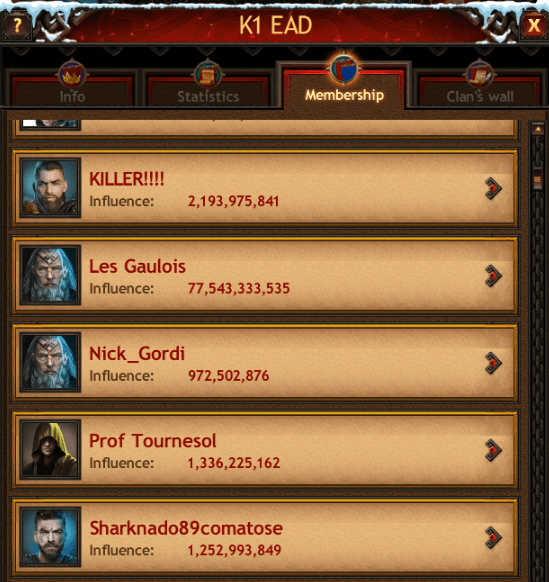 Les Gaulois, the most powerful Jarl within the K1 EAD clan, has a stunning 77 billion influence points! 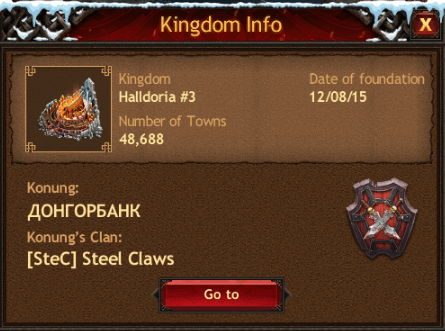 The strength of this one Jarl alone could crush not only entire clans - but Kingdoms! This truly is a magnificent Kingdom and land to explore, filled with much history and marvels to behold. Expect many more reports from within these lands, as the Chronicle explores and delves into the history of where it all began. Stay tuned.